Joel Feder February 19, 2016 Comment Now! 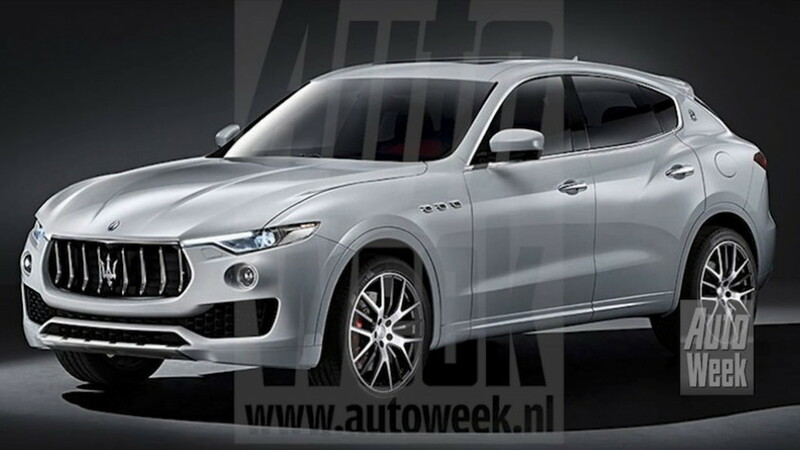 It's no secret that Maserati has an SUV coming for 2017 and it's called the Levante. We've spotted it on the road and on the track, and we've even seen the patent drawings. 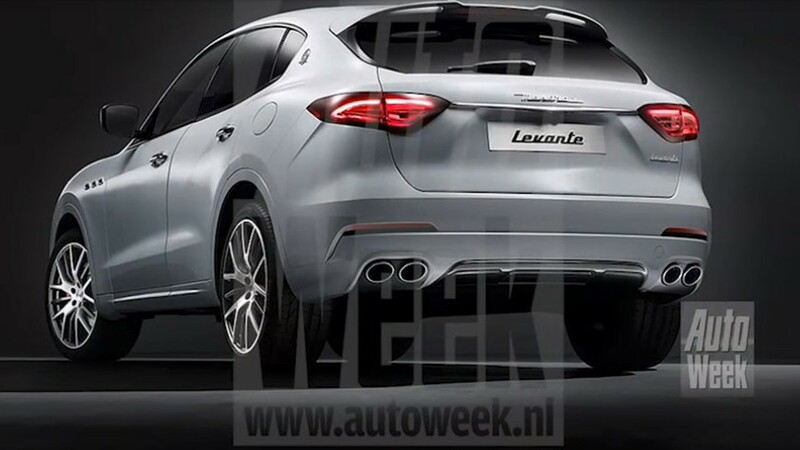 Now, thanks to Autoweek.nl, we have leaked images of the production Levante. From the images we can see the design is not a clone of the Kubang concept vehicle from the 2011 Frankfurt Auto Show, but the design language is similar. The front is aggressive with slim headlights, large intakes, and an extra-large version of Maserati's corporate grille. 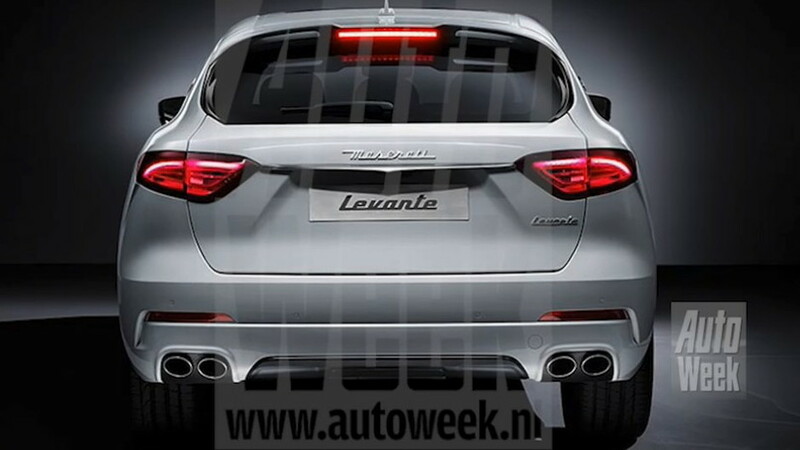 The strong rear fenders flow into the taillights, and the look of the rear mixes a bit of Porsche Cayenne with Alfa Romeo Giulia. 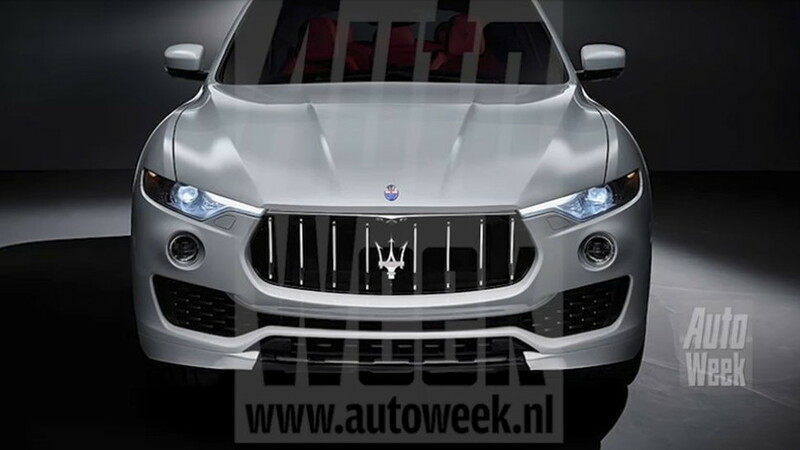 Set to be unveiled next month at the Geneva Motor Show, the Levante will be based on a modified version of the rear-wheel-drive underpinnings from the Ghibli and Quattroporte sedans. Size-wise, it's slightly shorter than the mid-size Ghibli. Power should come from a turbocharged 3.0-liter V-6, and, while the leaked specs don't show it, a 3.8-liter V-8 is likely in the cards as well. Expect the most powerful version to carry at least 500 horsepower. 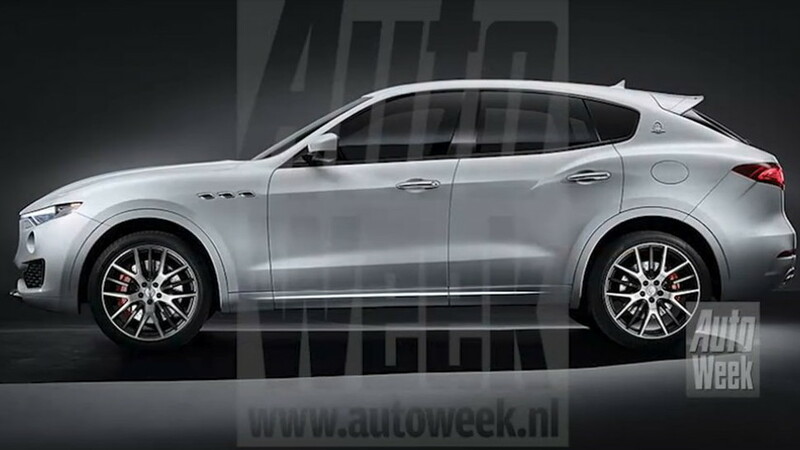 An eight-speed automatic transmission will shuttle power to all four wheels through Maserati's own all-wheel-drive system. Production is set to take place at the Mirafiori plant in Turin, Italy. Stay tuned for more details by checking our Geneva Motor Show hub here.